Delhi, known officially as the National Capital Territory of Delhi, is the capital city of India. It has a population of nearly 11 million and a metro population around 16.3 million, making it the second most populated city and the second most populous urban area in India. Delhi has been continuously inhabited from the sixth century BC. By most of its history, Delhi has served as the capital of diverse kingdoms and empires. It has been captured, ransacked and rebuilt several times, mainly during the medieval era, and Contemporary Delhi is a set of various cities scattered throughout the metropolitan region. New Delhi is replete with life, most of which can be viewed from the road, with stalls selling food products and beverages, or whatever else you could want. There are lots of ways of seeing major tourist attractions of Delhi. Here is a short summary of how you can see such destinations based on your budget and traveling preferences. The Delhi, capital city of India, have lots of tourist place and sightseeing in New Delhi like Red Fort, Qutub Minar, India Gate, Akshardham Temple, Laxmi Narayan Temple, Lotus Temple, Jantar Mantar, Lodhi Gardens, Rashtrapati Bhavan, ISKCON Temple, Connaught Place, Chandni Chowk, National Zoological Park, Rajghat and Rajpath and more attractive places in Delhi. India Gate is a memorial stone monument devoted to the Indian soldiers that died during the wars in Afghanistan and the First World War. This considered like one of the top attractions of Delhi. The names of the soldiers who died during such wars are enrolled on the walls. 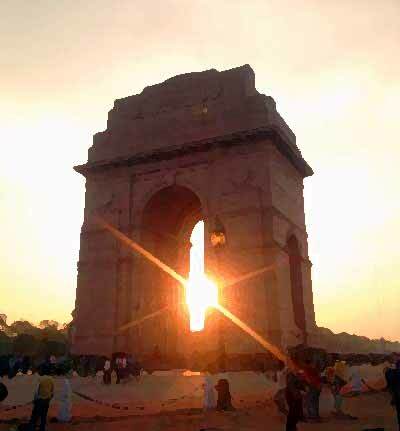 India Gate was designed by Edward Lutyens and took around 10 years to complete. The structure of the India Gate is an arch of triumph, which is 42 meters high. The Cenotaph in the middle is built of black marble and represents a rifle placed on its barrel, crested by a soldier’s helmet. Each panel of the Cenotaph has enrolled in gold the words “Amar Jawan ‘. The green lawns at Gateway of India is a popular night feast for young and old alike. The best part of this cenotaph is that it is situated right in the middle and on the four corners there are torches that turn on. As a part of the great architecture of India Gate, Amar Jawan Jyoti has a significant place in the story of India. 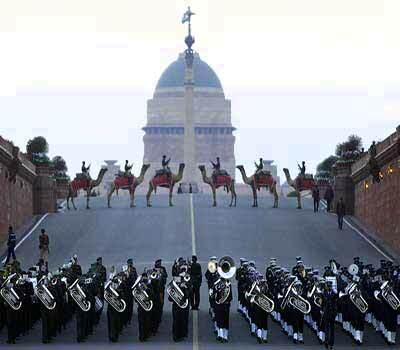 Both the President and the Prime Minister of India has to pay homage to the dead soldiers on a yearly basis, on each Republic Day, before attending the parade. The Red Fort, constructed by Shah Jahan in 1639, when he decided to change their capital from Agra to Delhi. Shah Jahan began construction of the fort in 1638 and ended in 1648 A.D. It was the first fort in Delhi – ready in all its glory of the Emperor. And Shah Jahan celebrated his First Darbar in April 1648. It is said that about one crore rupees were spent at that time for constructing this Red fort. 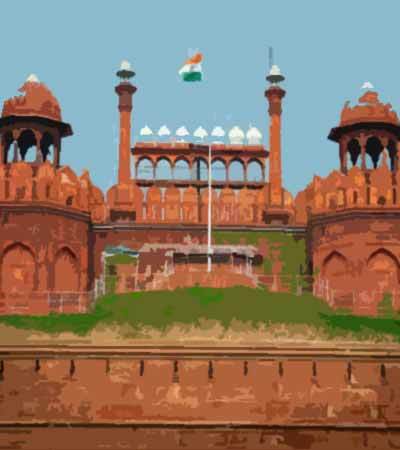 The Red Fort is constructed from red sandstone and marbles on the banks of Yamuna. This sandstone rich red extends 2 km in width and height difference of 18 meters on the river side to 33 meters on the side of the city. Garnished with Persian, European and Indians art forms is one of the shining pieces of architecture fortress. All this architecture is built with huge blocks of red sandstone. Inside there are buildings, including the Hall of Public Audiences, CASA del Tambor, the Pearl Mosque, the Palace of color and the Royal Baths. Some of the overbearing signature buildings in the fort are Diwan-I-Aam, Diwan-I-Khas and Rang Mahal. Every year on the day of the Independence 15 August, flag of India is hosted by Indian’s Prime Minister here. The Qutub Minar, a world heritage site is the world’s tallest brick minaret located at Mehrauli in South Delhi. 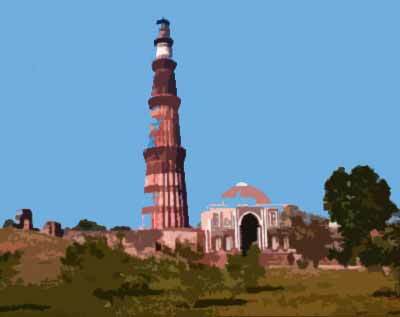 The Qutub Minar, is the first monument built by a Muslim ruler Qutub-ud-din Aibak in India. world heritage site. The Qutub Minar, a five storeys minar is standing at a height of 72.5 meters and is a renowned tower of victory as a sign of Muslim rule of Delhi. The first floor of this Minar was supplemented by Qutub-ud-din. And other circulars made of white marble floors were constructed by Ferozshah Tughlaq in 1368, replacing the fourth storey. Each of the 5 storeys and tower of Qutub Minar has unique designs. Other sights around this monument, are the Jamali Kamali Mosque and Tomb, Balban’s tomb, Quli Khan’s Tomb, Rajon Ki Baoli in Mehrauli Archaeological Park, besides Jahaz Mahal and Adham Khan’s Tomb near by. The rising conical tower is a fine example of Indo-Islamic Afghan architecture. 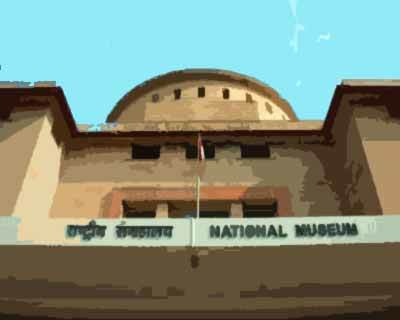 The National Museum in New Delhi is situated at the corner of Janpath and Maulana Azad Road. It is among the major art museums in India. It contains a variety of items ranging from prehistoric time to modern artworks. It is managed by the Ministry of Culture, part of the Government of India. Training opportunities for members of the museum, permission to photograph objects for Playback & Publishing and access to the reserve collection and the Biblioteca are provided by museum professionals, academics and the general public. The photographs of works of art are also made available to the general public on payment. A free guided the galleries and film in the auditorium tours are organized every day. There is also an audio tour covers approximately 75 minute masterpieces in the collection along with an introduction. Available in: Hindi, English, German, French and Japanese. And generally, the Museum is closed on Mondays and gazetted holidays. 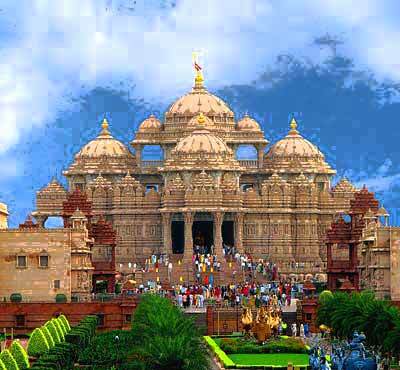 Swaminarayan Akshardham Temple located in Delhi, is the largest Hindu temple in the world. 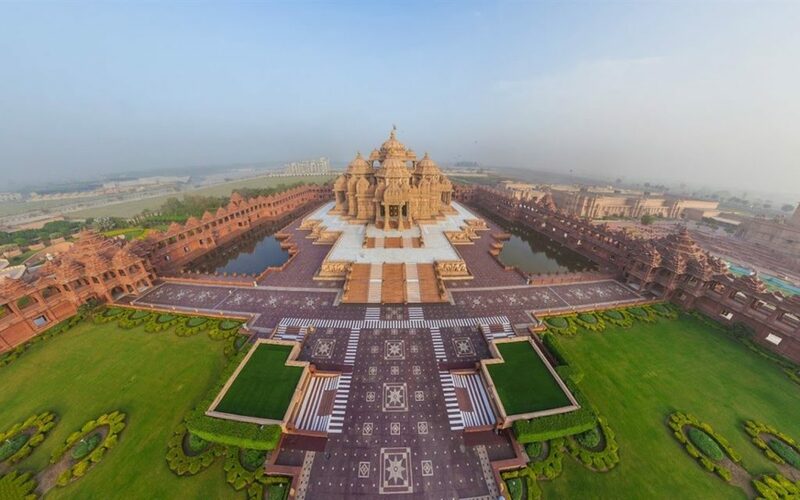 One of the most important Delhi Monuments, Akshardham was built in 2005 without steel, consists of 234 ornately carved pillars, 9 ornate domes, 20 quadrangled shikhars, a spectacular Gajendra Pith (plinth of stone elephants) and 20,000 murtis and statues of India’s great sadhus, devotees, Acharyas and divine personalities. You can experience there the timeless messages of Indian culture featured through the life of Bhagwan Swaminarayan, through fifteen 3-D dioramas and presentations from the life of Bhagwan Swaminarayan. One of the most attraction of this temple is a Fountain Water Show name ‘the Sahaj Anand Water Show is acclaimed French designer Yves Pépin’. The 24 minute show is a breathtaking presentation of water, lights, music, lasers, projection, animation, fire and live acting. The show’s message is to live without ego and pride – a spiritual way of overcoming daily stress. Believing God to be the all-doer frees one from ego and pride and allows one to experience Sahaj Anand – true, deep, innate joy. Laxminarayan Temple (Birla Mandir), is built in honour of the Hindu goddess of wealth- Lakshmi in 1938 by the Industrialist G.D. Birla near Connought Place. And it was inaugurated by Of the Nation, Mahatma Gandhi. 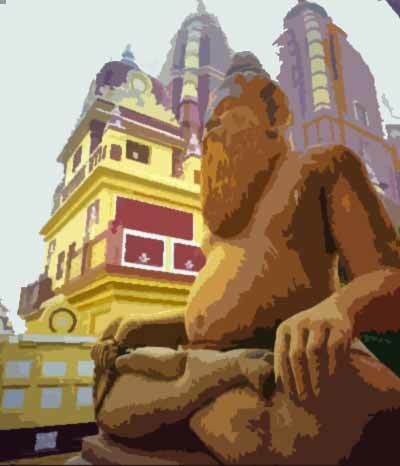 The temple is decorated with many shrines, fountains and a large garden, and also houses, Geeta Bhawan for discourses. The temple is one of the main attractions of Delhi and draws thousands of worshipers on Hindu festivals Janmashtami and Holi. A great Hindu temple dedicated to Laxminarayan in Delhi. You can visit this beautiful temple, but you cannot take photos inside. The side temples are devoted to Shiva, Krishna and Buddha. The Lotus Temple is often renowned as ‘House of Worship’ located at Mandir Marg in South Delhi, one of the greatest pieces of architecture. It was designed by Fariborz Sahba and built by the Bahá’í community. It was designed to look like Sydney Opera House. The temple is surrounded with pools. It has been constructed using cement, marble, dolomite and sand. 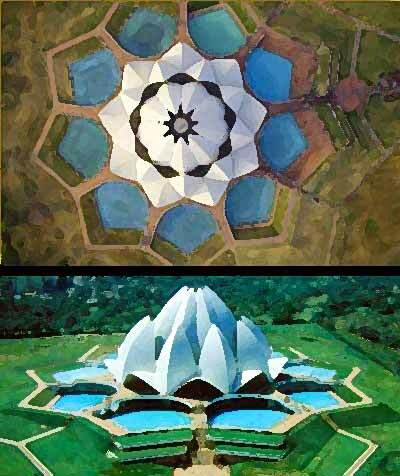 The Lotus Temple easily accessible by Delhi Metro. Riding in a Nehru Place-Kalkaji Mandir Metro is visible as a white oval structure. That from Kalkaji Mandir is just 5 minutes walk distance. The temple is open for the general mass 9:00 AM – 07:00 PM in during the summer months and 9:30 AM to 5:30 PM during the winter months. And the temple is closed on Mondays. Jantar Mantar, like the name of this remarkable astronomical observatory was built in 1724 by the mathematician and astronomer Maharaja Jai Singh of Jaipur, who built the observatory passed to build other observatories in Ujjain, Varanasi and Mathura. 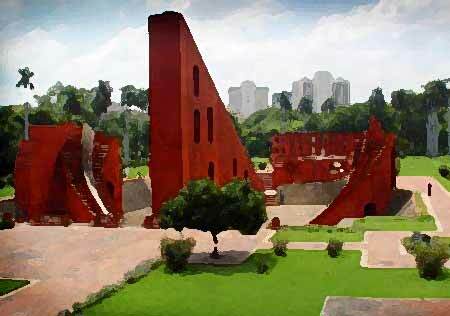 Jantar Mantar has instruments that can chart the trajectory of the astronomical universe. Jantar Mantar tools are mesmerizing for their wit, but the exact observations now cannot be made here because of the tall buildings all around. Jantar Mantar has instruments that can chart the trajectory of the astronomical universe. Jantar Mantar tools are mesmerizing for their wit, but the exact observations now cannot be made here because of the tall buildings all around. There is Photography free, but you have to pay Rs 25 for video filming. Lady Willingdon Park is famous as Lodhi Garden, one of the historical gardens in Delhi is located beside the India International Center which is just 3 kms away from Humayun’s Tomb. It was built by the Sayyid and Lodhi rulers in between the 15th and 16th centuries. In the early hours in the morning and evening, the extensive garden is a favored destination for fitness freaks and those looking for solitude. 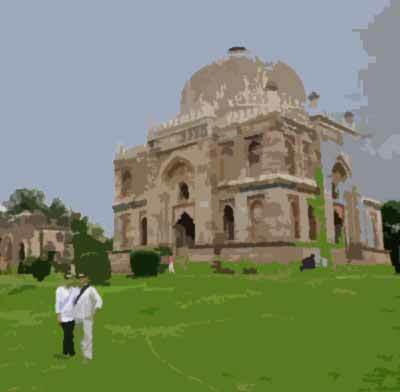 In Lodhi garden you should visit the graves of Muhammad Shah, the third leader of Sayyid dynasty and Sikandar Lodhi. There is Bara Gumbad Sheesh Gumbad and in the downtown Lodhi Garden in Delhi, that talk about the architectural glory of the time. Bara Gumbad lies the Sheesh Gumbad which consists of the remains of an unknown family. Rashtrapati Bhawan is the home of the president of India. Rashtrapati Bhavan is a multidimensional prominent monument of the British Empire, which is said to be the palace of the Viceroy of India. This is a great mansion and its architecture is impressive. Rashtrapati Bhavan was originally constructed for the Governor General of India. This extensive mansion four storey building 340 rooms. On January 26, 1950, when Dr. Rajendra Prasad became the first Indian President and served this building to preserve, protect and defend the Constitution of India. It was only from that day this building was renamed as Rashtrapati Bhavan – the President House. Rashtrapati Bhawan in New Delhi is deemed to be the best known monument of India with Taj Mahal and glorious Qutb Minar. Sir Edwin Lutyens designed the place and construction work commenced in 1911. It is noteworthy that the building which was slated for completion within four years took seventeen and in the eighteenth year of its finalization after India became independent. The total cost of building the Rashtrapati Bhawan crossed £ 1,253 million in British India.